Free song sharing is this generation’s VCR. Twenty years from now everyone in the music industry will look back at the plummeting price of access to recordings and shake our heads much the same way the movie industry looks back at its attempts to outlaw the VCR. How could anyone rationally think otherwise? And yet the entertainment industry has been chipping away at the legal underpinnings of fair use established by the US Supreme Court just under 30 years ago. In Sony Corp. of America v. Universal City Studios, Inc. — otherwise known as the “Betamax case” — the Court narrowly ruled in favor of the greater good. Justices Marshall, Powell, and Rehnquist joined Blackmun in dissenting, completely ignoring welfare-based theories of copyright. These justices were siding with the MPAA’s view that any leeway given to copyright infringement, even personal copying for private use, undermined the whole system of copyright. It’s not that they were wrong in their assessment. 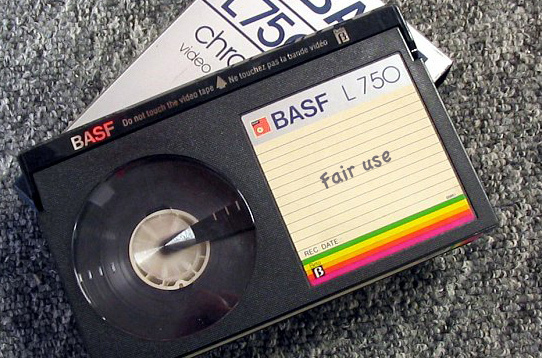 VCRs did undermine copyright in the sense that fair use enabled people to make tens of millions of copies of copyrighted material. But nothing happens in a vacuum. Consumers were so busy “undermining” the copyright, they developed a voracious appetite for films and TV shows, and the movie and television industries positively exploded. The same thing is happening in so-called music piracy, it’s just happening incredibly slowly because the music industry is still for the most part fighting free access to music. Certainly, creators need to be compensated for their labor. Copyright exists to provide this incentive to work, ensuring creative works get made. It also exists to protect our personhood — our identity as defined by our creative expressions. Copyright should prevent our labor from being unjustly exploited, and our identity from being stolen. For many, this is where copyright ends because they are only thinking about themselves (it’s something of an American pastime.) They ought to stop and think for a moment, because there are an estimated 315,613,999 other folks in this country alone who deserve consideration. Copyright is not just about protecting your individual right (or, more commonly, a corporation’s right) to profit from or be fairly represented in the exploitation of their works. It’s about the greater good, a concept that trumps any individual concern. We tend to overvalue our own creative endeavors because the labor and personhood considerations of creativity distort our perception. Our value is high because we worked hard and infused our work with something of personal essence. But while the price of creative work may be set by individual, society at large will ultimately judge its value. This is why record labels have to fix prices — to override the more reasonable value judgement of consumers by exploiting their control over music access. In a truly free market, the value of music remains high and climbs even higher while the value of access to music approaches utility levels (think Spotify) if not zero. 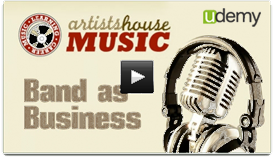 The music industry is fighting the devaluing of access to music rather than the music itself. On the contrary, there is now more music being produced per year than ever before — more bad music to be sure, but much more good as well. Copyright is supposed to ensure the needs of the greater good are met by stimulating individuals to contribute to that greater good. We recognize that having a market in which one’s creative works have value is a strong driver of individual contributions. But we must also recognize the purpose of copyright is to “promote the Progress” of the public and culture as a whole. In the case of labor and personhood, copyright is the art of balancing the individual need for monopoly protection with the public need to access creative works. We need to stop looking at this like one creator is producing work for 315,613,999 consumers. It’s the 21st century. One creator is producing work for 315,613,999 other creators. This concept finds its legal context in addressing the growing creative, participatory role in culture that consumers are beginning to enjoy. In other words, we must start treating every consumer as a potential creator. This is not to say we need to mandate everyone make a cultural contribution, but only that we need to respect use and sharing of creative works as a potentially creative act, and one that cannot be reduced to mere product consumption because that was the intent of the producer. Again, the market assigns value and meaning to creative works independent of intent. Increasingly, a big part of that value is in source material or inspiration for a new creative act. Most of us in the 80s (those of us who were around, anyway) didn’t use our VCR creatively. I knew I was the exception when I sat in front of the TV recording little snippets of commercials and shows until I had an avant-garde remix of bizarrely juxtaposed images. Without YouTube, I had no distribution network (and few friends at the time) and did this purely for personal enjoyment. I might not have seemed so out of place in today’s culture. Some of the most popular videos on YouTube are remixes of existing clips (much more entertaining than my VCR art). Dubstep and mashups have turned unlicensed sampling into the music of a generation. Even consumption is collaborative, with fans forming their opinions collectively through social networks. Welcome to the world of the consumer-creator. It’s really not such a long way from creating our own meanings for TV shows in our heads to producing an expression of those unique meanings. We’ve been doing the former since the days of the VCR and earlier, but only recently have the means for creativity grown ubiquitous. What does a world in which everyone’s a creator mean for copyright? It should mean reform. Finally, and most importantly, we need to push back against laws that clearly favor neither the individual nor the greater good. Lobbying and litigation have become the tools used by entertainment industry elite to stifle this new culture of the consumer-creator. Often passed of as acts to protect creativity, the industry is really only interested in driving consumption. Corporations like to keep creativity at an easily co-opted and exploited level. If we can keep the corporations in check, one day, passive consumption will be taboo and participatory creation status quo. It’s what’s already going on in our heads. To keep culture locked up just so large corporations can profit (be they record labels or tech companies) is the opposite of copyright’s charter to promote progress. As the creator-to-consumer ratio changes, so too must the law.